Timbertrove has a range of fence panels which are stylish, exceptionally strong quality and long lasting. We stock a range of fence panels, trellis, timber posts, concrete posts and all the fixings. 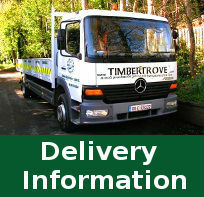 All Panels are designed and manufactured by Timbertrove and can be custom made to suit your specific requirements. We offer a supply & fit service, contact our sales team for a quote.